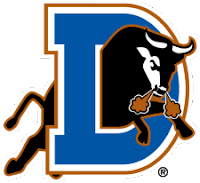 Indianapolis, IN) Winston Abreu struck out Kevin Melillo with the bases loaded on Wednesday, as Durham hung on to beat Indianapolis 7-6. Abreu, now 6-for-6 in save changes, walked two and hit one in the ninth, but bounced back to fan Melillo on a 2-2 slider. Durham, 43-29, now is 4-4 on its current road trip after winning the see-saw battle. The Bulls had taken a 4-1 lead in the third on a three-run homer to right by Dan Johnson, his 17th. Indianapolis answered, knocking out Richard De Los Santos in a two-run third to make it 4-3, and then scoring two in the fourth against Darin Downs in his Triple-A debut for a 5-4 advantage. The Bulls would re-take the the lead in the seventh, as Desmond Jennings doubled to right with one out against Brian Bass (2-2), and Bass walked two hitters to load the bases. Dan Johnson then walked against Wil Ledezma to force home the tying run. Joe Dillon followed with a two-run single for a 7-5 lead. Indianapolis took advantage of an eighth inning error to score an unearned run against Dale Thayer and make it 7-6, before Abreu held on in the ninth. The wild contest took 3:42 to complete, and included 19 hits and 15 walks or hit batters between the two clubs. Durham collected nine hits, including two from Jennings, who scored three runs. Johnson drove in four, and Dillon had a pair of hits. The Bulls wrap up an 11-day road trip on Thursday as RHP Aneury Rodriguez faces the Indians (39-34). Coverage on 620 the Buzz begins at 6:45, with first pitch at 7 p.m.